Long Beach Comic Expo May 31-June 1, 2014. I’ll be at Long Beach Comic Expo May 31-Jun 1, 2014. I’ll be set up in Artist Alley, table #8004. 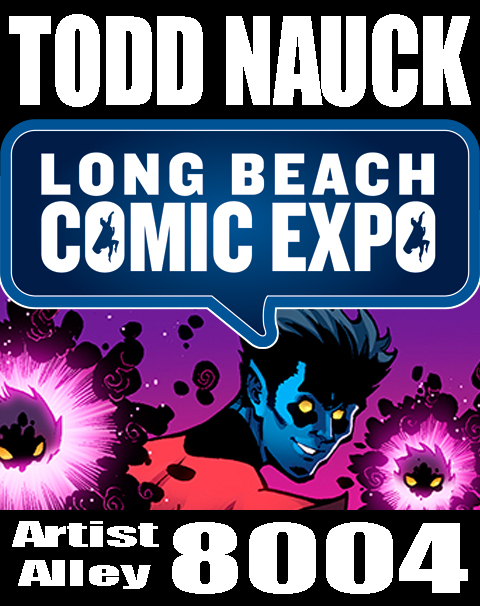 This entry was posted in Appearances and tagged long beach comic expo by Todd Nauck. Bookmark the permalink.